Downtown Palo Alto may be small, but when it comes to nightlife the town feels far from sleepy. Nearby Stanford University provides a lively student crowd when finals and midterms aren’t in full swing, and the incoming young tech crowd only boosts weekend or weeknight energy. Downtown Palo Alto bars are energetic and diverse, and many lie within easy walking distance of one another. A 10 minute drive from downtown is also rewarding, with a couple of local and loved options for drinks or food. Here’s our top picks for when you’re in the area. 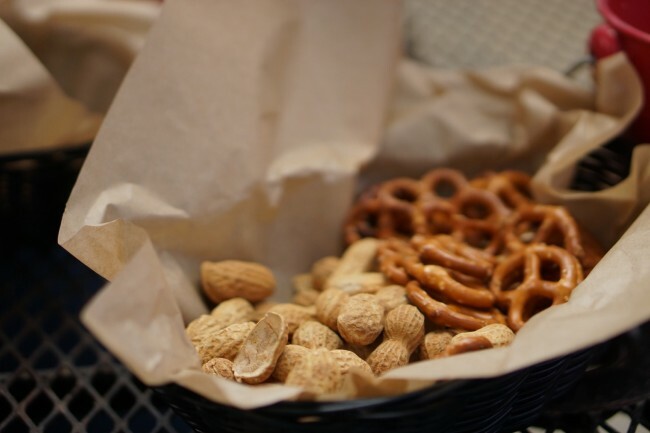 Locals love Antonio’s Nut House. This historic spot is on California Avenue, where Grateful Dead music often plays loudly, billiards teams compete throughout the night, and there is always another basket of peanuts to eat. 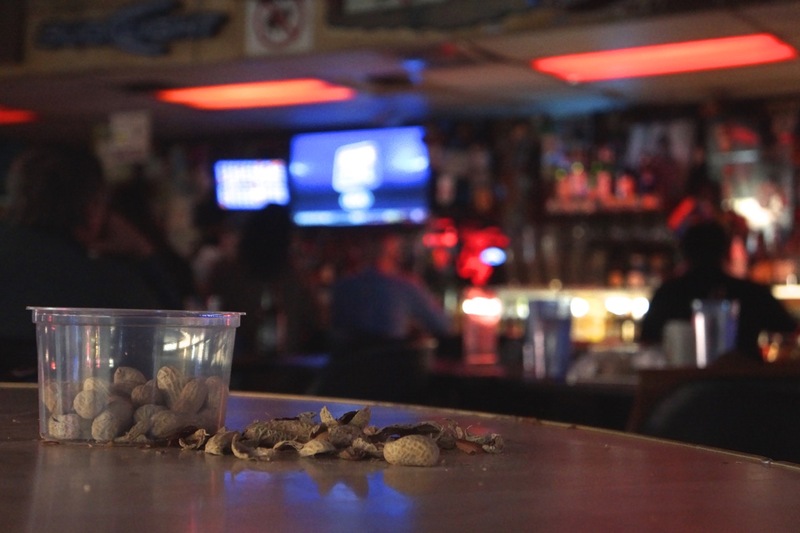 The endless free peanuts give the Nut House its name, although the typically rude bartenders and offbeat clientele are also good candidates for the title. Big groups of friends can always find a big table to sit at in the Nut House’s expansive space. 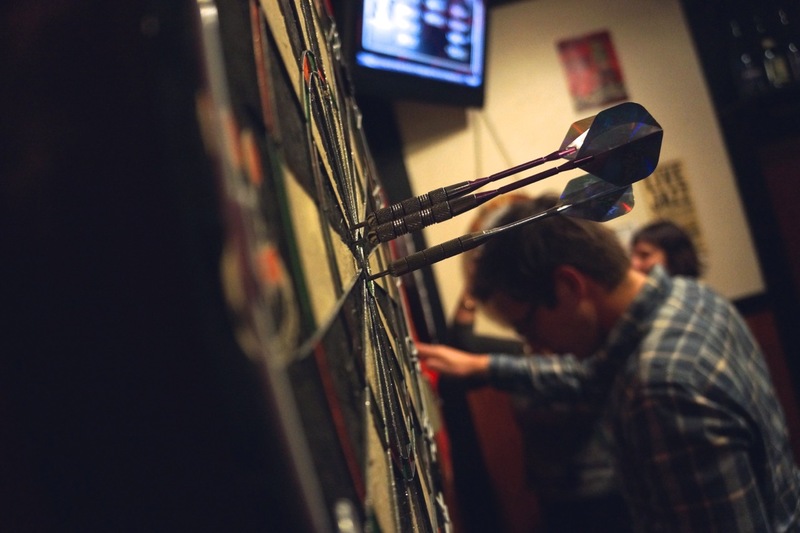 It’s known for cheap drinks, billiards, retro arcade games, and the Mexican restaurant on one side of the space. A wine bar that also serves fancy craft beer? Absolutely. This modern and spunky spot is sure to elevate the students’ drink palate. Its menu wins points for diversity and for a range of prices that’s student-friendly. The staff are the friendliest in town; be sure to ask for a recommendation and they’ll take you quite seriously, working with you to find you your perfect drink for the night. The nightly rotating selection of craft brews on tap and the bottle selection at Rose and Crown is the best in town. The bar itself is a tight fit and has the typically dark and small feel of an authentic dive bar, strengthened by the fact that it only serves beer. The crowd is professional and friendly, making this bar a great place to stop for a sophisticated brew after a day of work or studying. Tuesdays there’s trivia and beer specials. Alpine Inn Beer Garden in Portola Valley opened as a saloon and gambling house in 1852, before Stanford University was even founded. It is still one of the best loved places in town for drinks and a homely atmosphere. Enter the door of the old-timey farmhouse exterior, sit at a heavy wooden communal table, and drink in the history of Portola Valley at the open-air beer garden behind the restaurant. The garden can be a romantic spot for an unconventional dinner date, or the whole outdoor area can be rented out for larger parties. It’s a crowd pleaser for all types of people on any kind of night. The Patio famously stacks each week with events – DJ nights, trivia nights, happy hours, karaoke nights, and even Sunday brunch. The indoor space and the heated outdoor patio are both comfortable spots for a late night of dancing and mingling or for a boozy day of Sunday football. For students, it’s a must go last stop after a night of Palo Alto bar hopping. Stop by Pizza my Heart, located just a couple of blocks away, afterward to refuel. With a drink menu that includes a Hurricane served in a giant Moron Bowl, you can’t go wrong at NOLA. The extravagant New Orleans architecture and atmosphere draws a lively crowd that matches its colorful southern menu – diners often fill its three floors of seating. Its delicious food and drink menus are quite pricey for a student budget, but NOLA is well worth the trip every once in a while for a celebration with friends. Back to the Moron Bowl – it’s a fishbowl filled with blended rum, pineapple, vanilla bean, and brown sugar. Sippers of this one-and-done beverage look like morons, but they may have just made the smartest choice. 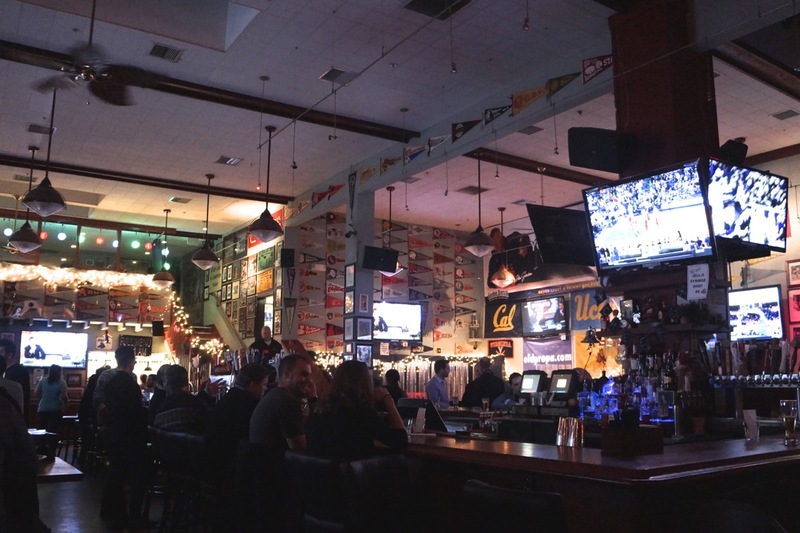 With the most TV-per-capita of the bars, the Old Pro is the place for sports fans to cozy up to new friends at a communal table to cheer on the team or to share a giant ‘beer tower.’ The restaurant also serves an extensive menu of American food and cheap pitchers during happy hour. The arrangement of sports artifacts on the walls, the prominent location next to NOLA, and the mechanical bull at the front all make this another loud and lively stop. The Dutch Goose, currently decked out in beautiful holiday decorations, is great for comfort food and beer on a relaxed evening. 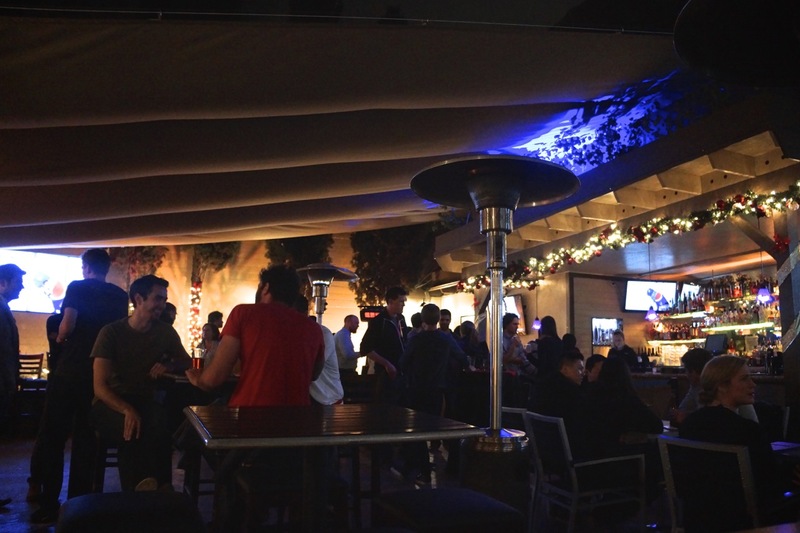 Its recent renovation created a new indoor/outdoor patio that greatly improved its already homey atmosphere. This spot is famous for burgers, but vegetarians should feel equally welcome – the veggie-packed garden burger is sure to satisfy. Hot buttered rum sounds like a welcome treat in the cold northern California winter, and believe it or not, there’s a place you can find it. Alice’s Restaurant serves delicious, reasonably priced food and boasts a small menu of hot drinks like the hot buttered rum or Mexican coffee with tequila, Kahlua, and crème de cacao. It’s located up a winding road only twenty minutes away from the Stanford campus, but the small town atmosphere feels 20 states away. Check out the frequent live music on the events calendar, and cozy up with a date or friend. Everyone needs a road trip to spice things up. Palo Alto residents and Stanford students alike often hit the road for a two-hour drive to Petaluma. 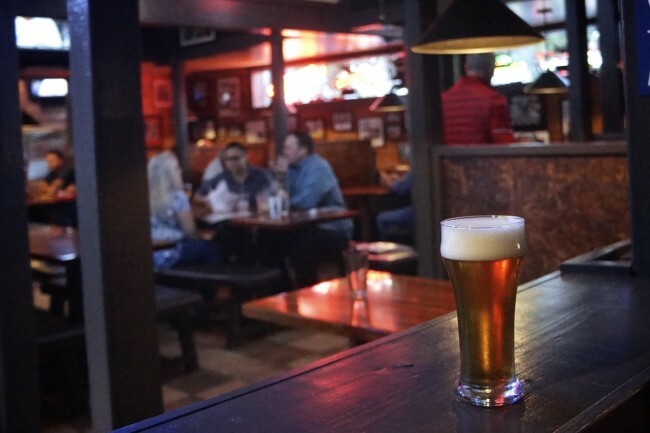 Weekdays at the Petaluma tap room offer a free brewery tour that includes free beer twice a day. On weekends, the brewery offers dry tours on Saturdays and every hour in the afternoon on Sundays, no reservation required. The best attractions, of course, are the beer tastings, and all those special non-distributed beers go perfectly with a soft pretzel with mustard and cheese or with the selection from Yanni’s Sausage Grill. Make it an all-day event, but make sure to sober up before you drive home.